February feels very grey to me. While we’ve had a fair amount of sunlight I’m really really missing green grass, leafy trees, and other plants and flowers. I’m ready for Spring and color! Everyone I talk to seems to feel the same way, I don’t know how many people have told me that February feels like the longest month ever. 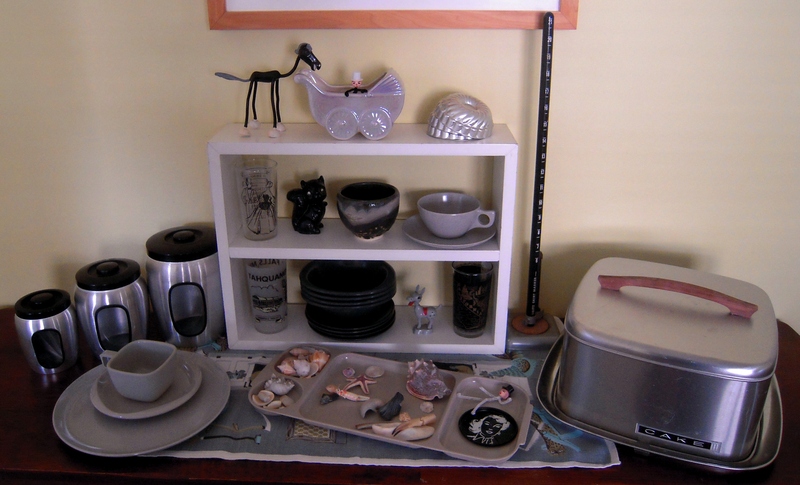 Time to embrace the grey feeling with some vintage housewares for a neutral, vintage, and yet modern look. 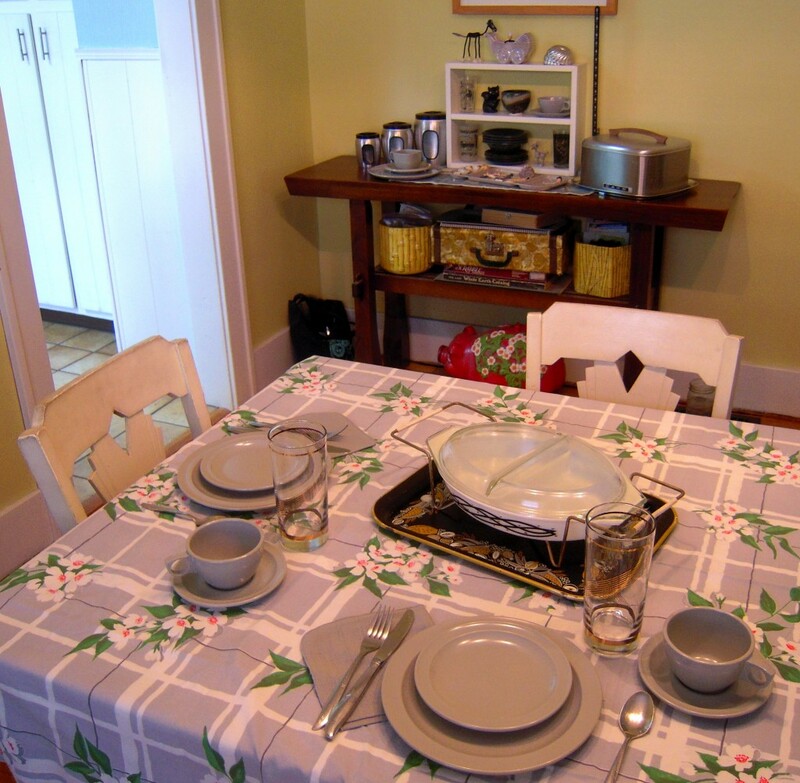 These neutral grey melmac plates pair nicely with this gorgeous vintage tablecloth, grey napkins, simple vintage glassware, and don’t forget the barbed wire Pyrex with handy holder, all anchored by a tray of course! This neutral gray, charcoal, black, and aluminum set will work into any modern home. Plus grey looks awesome with many other of my fave colors like yellow, aqua, pink! On it's own it can also sport a nice masuline feel. My favorite pieces in this set are the squirrel made of charcoal from The Dugger Coal Musuem in Southern Indiana, the strange bobble head donkey, the bendy black horse toy made in Western Germany, my grandma's skirt hemmer, the amazing peek through canisters from Japan! And of course you can never ever go wrong with a cake carrier of any kind- great for display and for carting delicious treats to events and gatherings! A few items are available in my vintage shop with more grey items on the way soon! My favorite and cherished pie making tools. They were my grandma's. 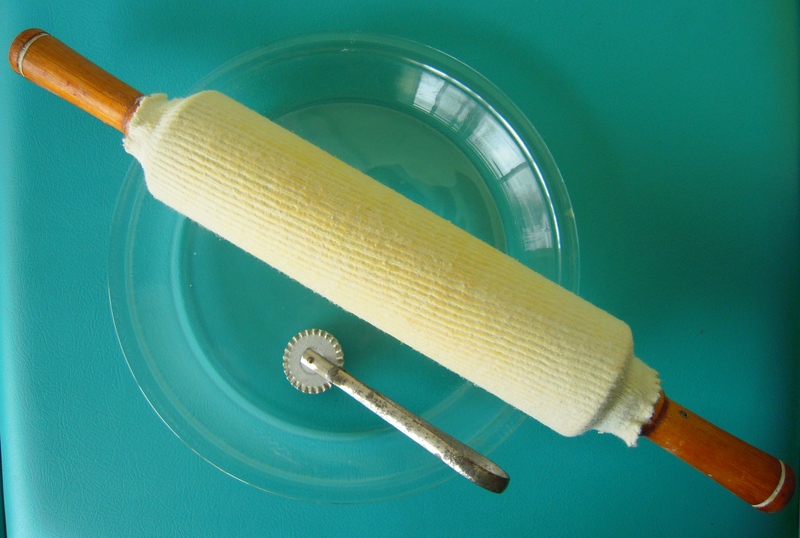 One of several pie dishes, her rolling pin, and her pastry wheel. We spent so many moments together making pie. My favorite was always blueberry. We'd pick blueberries, freeze and also can them. When we made pie she'd tell me to go down in the basement and get a bottle of 7Up, then she'd pour the blueberry juice in it and together we'd make pie and drink our blueberry pop. Every time I make a pie I think of her and the time we spent together in her kitchen. 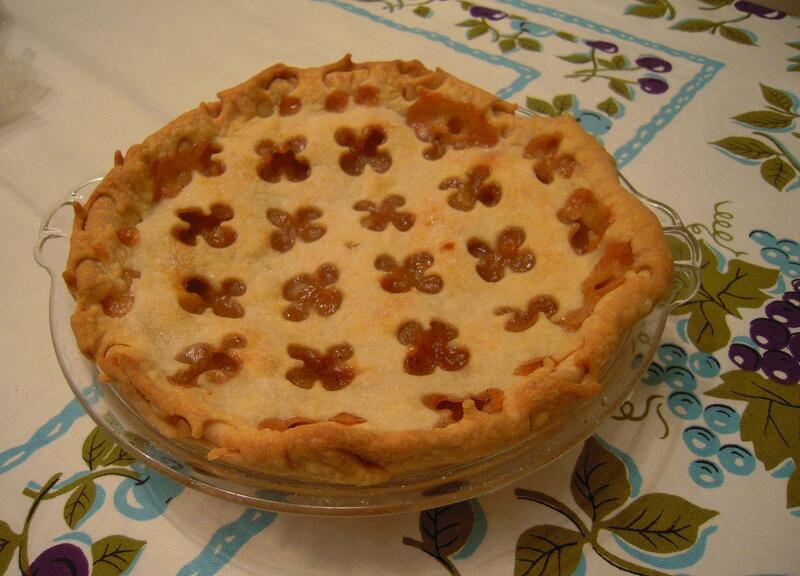 Pie is more than just a dessert, its full of sentiment and stories. 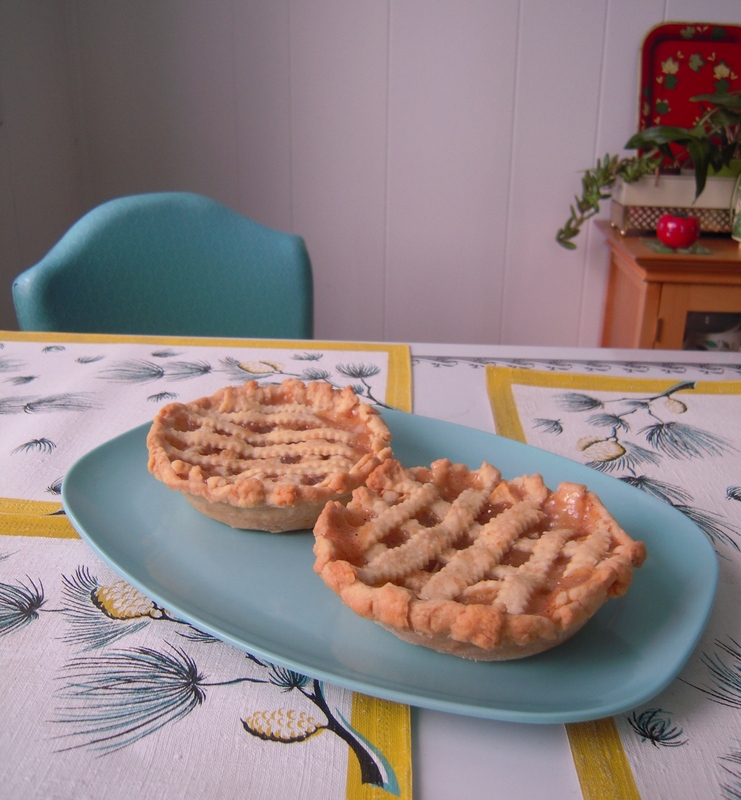 Here are 2 mini pies made in vintage pie tins. One for me and one for the freezer. They freeze really well and you can have a freshly baked homemade treat on the spur of the moment! 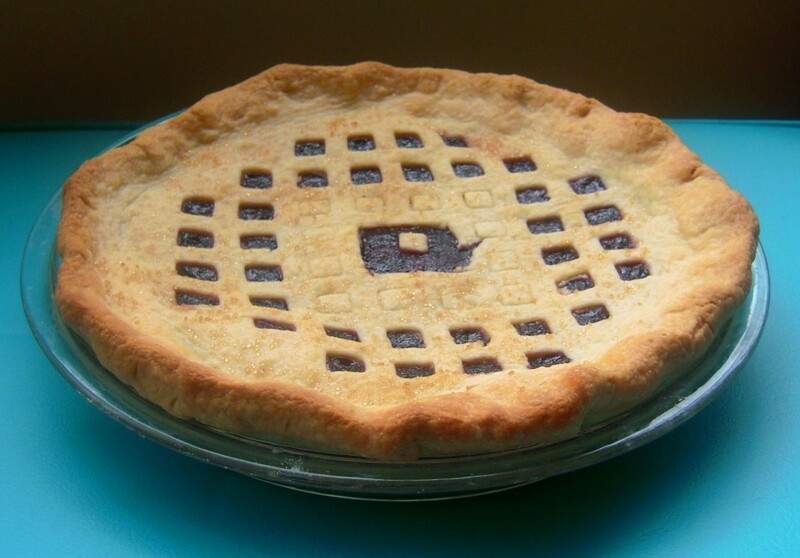 A delicious blueberry rhubarb pie, I call it blue-barb pie, made with a lattice top pie cutter from the 50s. It’s like a giant cookie cutter, you just press and voila, lattice top pie! Check out this lattice top! I picked up this awesome vintage pie cutter at an antique store a few weeks back. It's a quarter pie big so you just move it around until you have completed the circle and have a beautiful top crust! 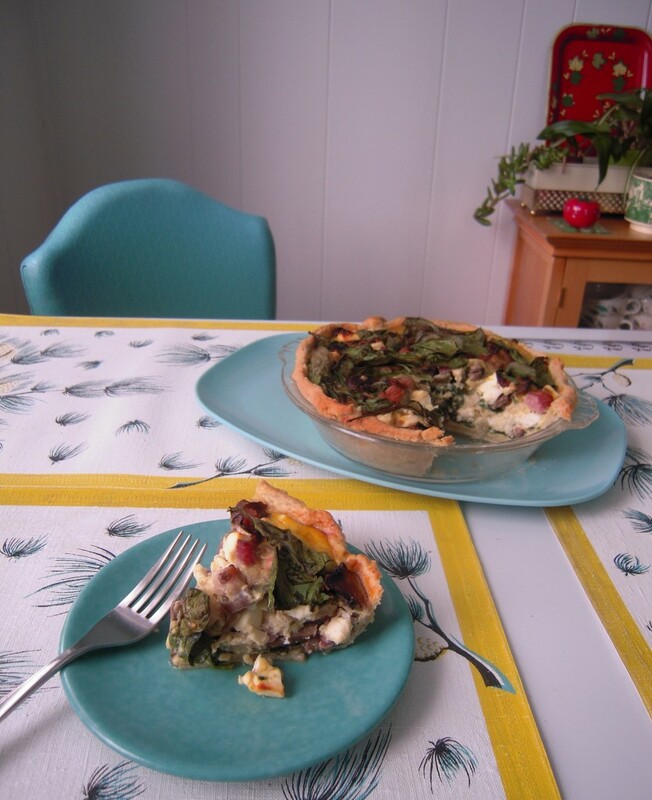 And lastly, nothing like a good quiche. This one is spinach, mushroom, ham, swiss, and some nice fresh feta. Great for any meal!